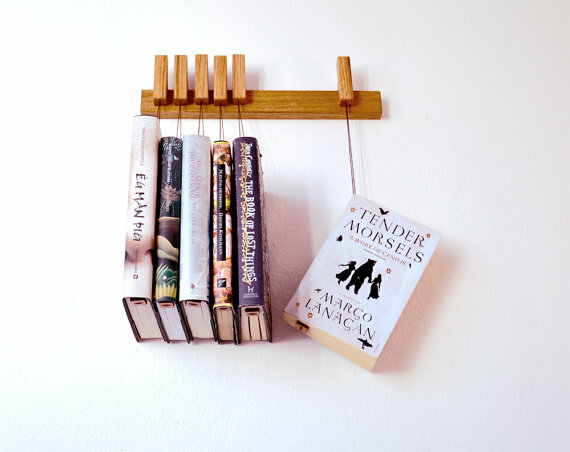 These suspended book displays have been designed by the Denmark based firm Agustav Design. 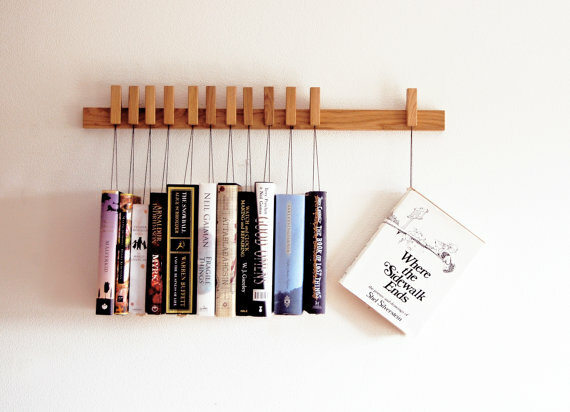 A wonderful alternative to the traditional bookshelf, especially if you are pushed for space. 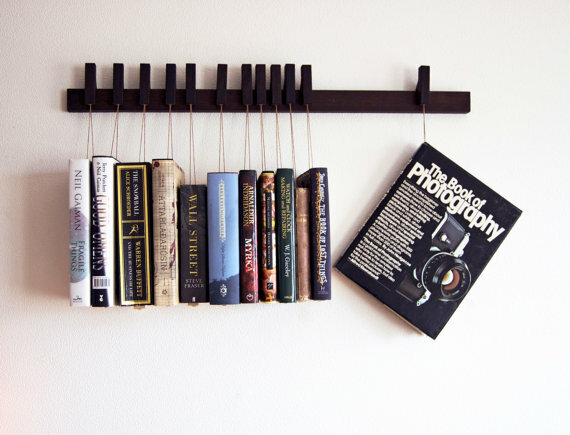 They can be hung on any wall and come with twelve hangers. 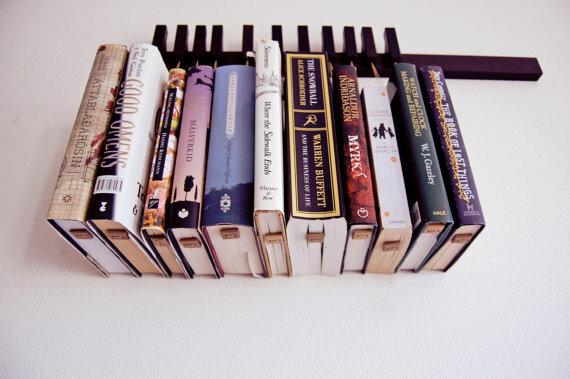 The books are actually resting on a small wooden peg, so no need to worry about ripping pages out of your books. The pins can slid along the rack allowing you to customise the setup. 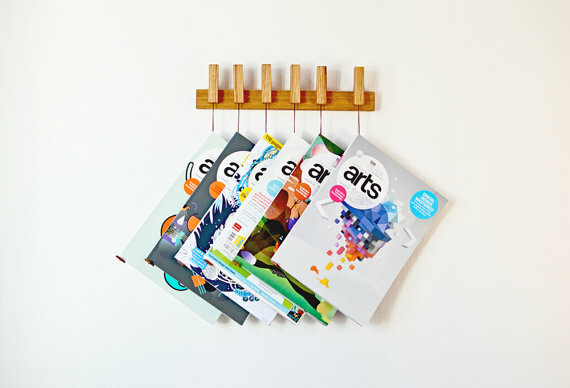 These racks can be purchased from the OldAndCold Etsy store.